Battery life will be critical for the Apple Watch, and the early indication, based on a Tim Cook quip, is that you might be charging it every night like a smartphone. That would put the Apple Watch roughly in line with the battery life currently available on Android Wear devices. If Apple expects its users to charge the Apple Watch on a nightly basis, that means it can’t fill one of the best early use cases demonstrated by other wearable fitness bands: a subtle, vibrating alarm clock. Wouldn’t it be nice to get woken up gently by a vibration, instead of a loud alarm that also wakes up your sweetie? For a piece of wearable technology to become ubiquitous, people need to commit to wearing it every day, and there’s no better reason for leaving your fancy new Apple Watch at home than a dead battery. 2. 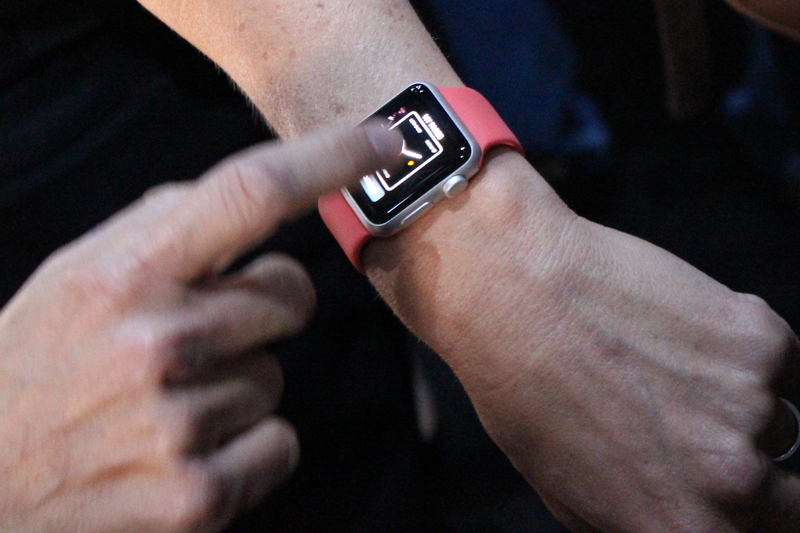 How fragile is the Apple Watch? Regardless of how shiny and nice new Apple products are, someone’s eventually going to break theirs, judging from the number of people going around with cracked iPhone screens. But when you crack your iPhone, most people still carry them around so others can get in touch. 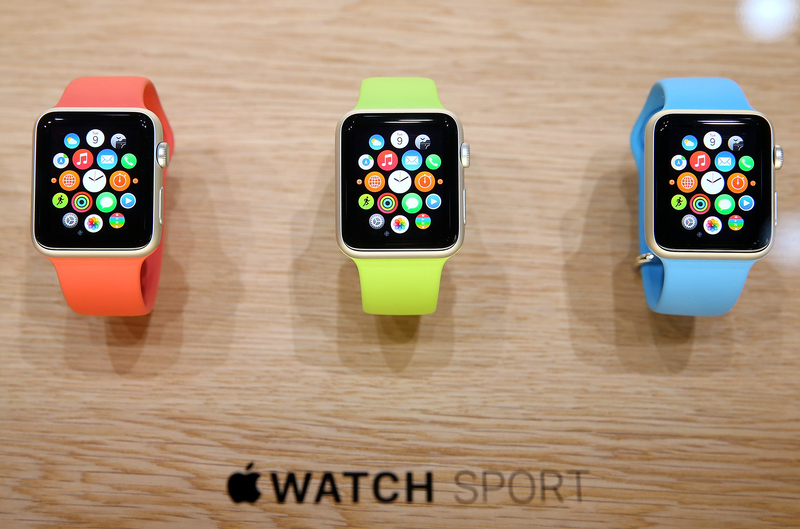 A broken Apple Watch could end up at the bottom of a drawer. The Apple Watch comes with a sapphire crystal screen cover, but that may only provide better scratch protection, not impact protection. 3. What’s inside the case? Apple focused a lot on the look and functions that the Apple Watch can fill, but didn’t give us a whole lot of information about its specs. We still don’t know what resolution the screen is running at, or how big the battery is, or what kind of processor is powering the device. 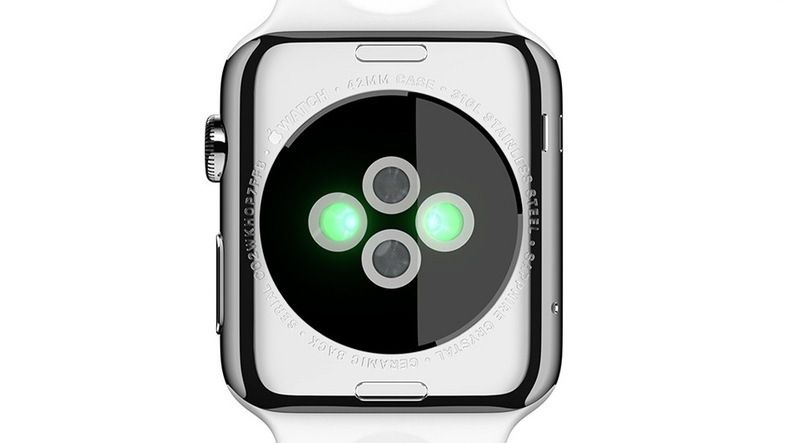 The back side of the watch has a battery of four different sensors, but we don’t have a lot of details on them. Apple teased a little bit of information about a new custom chip a called S1, but what separates the S1 (which Apple refers to as a System In Package, or SiP) from the Qualcomm Snapdragon chips powering similar Android Wear watches? 4. What are the prices for the other two models? And how will they be sold? Because watches are so personal, Apple has offered more customization options for the Apple Watch than it ever has for the iPhone or iPad. When the device eventually goes on sale, there will be a dizzying array of configuration options. First of all, there will be two sizes, both of which will come in three different “collections;” with watch cases offered in stainless steel, aluminum for sports, and a high-end collection covered in 18-karat gold. On top of those cases you’ll have six different types of Apple-provided watch straps. But on Tuesday, Apple only mentioned one price: $349 for the mainline stainless steel collection. It’s hard to imagine that the 18-karat gold Apple Watch will cost the same as an aluminum version with a sport band. So how much will the other two “collections” cost? 5. Is the Workout app going to kill other fitness apps, or will it merely become a hub? To go along with the Apple Watch fitness tracking capabilities, Apple introduced two new iPhone apps: Fitness and Activity. Activity monitors movement throughout the day, and Workout tracks more brisk physical activity. Of course, there are already a lot of different apps available on the App Store that do those same kind of functions, like Strava, Moves, and Runkeeper. Apple’s new apps have one distinct advantage in that they’ll definitely work with the Apple Watch, but it’s also not hard to believe that a dedicated app developer can produce a better fitness experience than a jack of all trades. When Apple debuted its health platform, Healthkit, it was described as a easier way for developers to feed data into Apple’s Health app. But if everyone on iOS is using Workout, why should a fitness-focused company share its data with Apple? 6. What’s the style? Apple Watch? ?Watch? One thing for sure, it’s not iWatch. But Apple is currently using both Apple Watch and the ?Watch moniker equally on its website. Which one do you use? It’s not the first time Apple has rewritten its style guide — newspaper editors across the country hate starting sentences with a lowercase ‘i,’ and there isn’t a great way to make iPhone 5S plural. But using a crazy symbol goes even farther. By the way, if you’re on a Mac, the shortcut is option+shift+K. “By the way, if youâ€™re on a Mac, the shortcut is option+shift+K.” If not, use the always reliable ctrl-opt-del. Here’s a question; to what extent can you leave the house without your phone? Those are 6 pretty weak questions. How about “how waterproof is it?” Or, “when do developers get their hands on the SDK and emulators for it?” Or, what are its physical dimensions, weight, etc?” Or, “what is the screen resolution?” Who cares about how to write the name? That can’t possibly be in the top 100 questions consumers might have. You’ve got your questions. I’ve got mine. Wow! I just deleted The Verge from Feedly and found this site. I’ll leave now. Sick and tired of smartass that can’t understand that what they write must be interesting for their readers. Obvious question: will it be water resistant like 99% of the watches out there? If it doesn’t pick up it will be a disaster for Apple. Smart move from Google to delay Moto360 a bit, now they can make fun of each aWatch feature. Plus they can add ways to customize the look so everyone isn’t stuck with the same style as each other. It will be interesting to see them side by side in different forms, I think I will have to give it to the Apple design team. I’m actually more curious how payments and Bluetooth will work without an iPhone nearby. Obviously, people working out don’t want to carry a phone. The sensors are my second concern. What’s inside? I always love the comments after App,e launches a new product. The iPod. What the hell is innovative about that? Then Apple sells a hundred million.